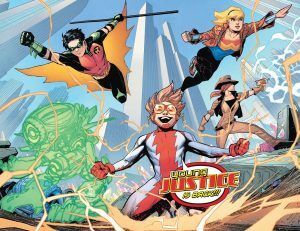 Welcome to the column where we talk about all things Young Justice this week. 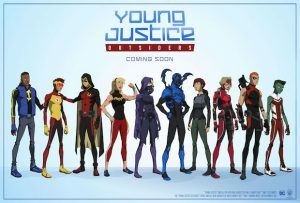 Young Justice has been a franchise that hasn’t been used in a long while. With the ending of the tv show and the comic heroes erased from continuity, there wasn’t a place available to them. 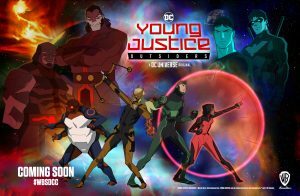 Well, that all changed this January as Young Justice Outsiders finally returned for a much-anticipated season 3. It is quite rare to see a tv series come back from the dead and it goes to show the outstanding support they have had. The new season has decidedly gone to some darker roots and has taken some surprising new directions. Time will tell how the season will progress and how the team will function as a premium team. The new season also has a much bigger scope, what with including Darkseid, New Gods, international meta trafficking. There is also the case of the characters moving on after the emotional death of Wally West two years ago in the show’s timeline. There are heroes who have been changed like Babs becoming Oracle and some who have taken new risks Conner and Megan are Engaged. There are also plenty of heroes on the horizon who are waiting for their turn. With so much development and drama over the first few episodes, I for one can’t wait to see how the season progresses. 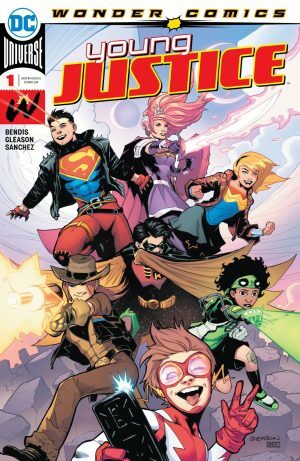 There is also the case of the return of the Young Justice in the comic book world. This was announced a while back and has been one of the biggest anticipated comics of the year. The first issue starts with the team being set up and the characters getting to meet each for the first time in a long while. It also opts for a tone more in common with the earlier young justice books than the later teen titans comics. The issue by itself was a fantastic start and has some very great characterizations. It also must deal with introducing some new characters like Jinny Hex (who instantly makes an impact) and Teen Lantern. 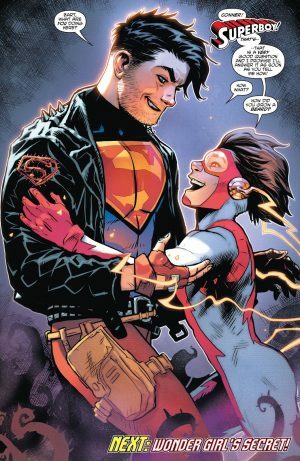 There is also the case of bringing back long forgotten characters like Wonder Girl, Superboy, Impulse and Amethyst and bringing back Tim Drake as Robin. The first issue was a beautiful comic book and Patrick Gleason knocks it out of the park. He makes sure the teens are drawn as teens and not more like adults as is usually the case especially with some teenage girls. 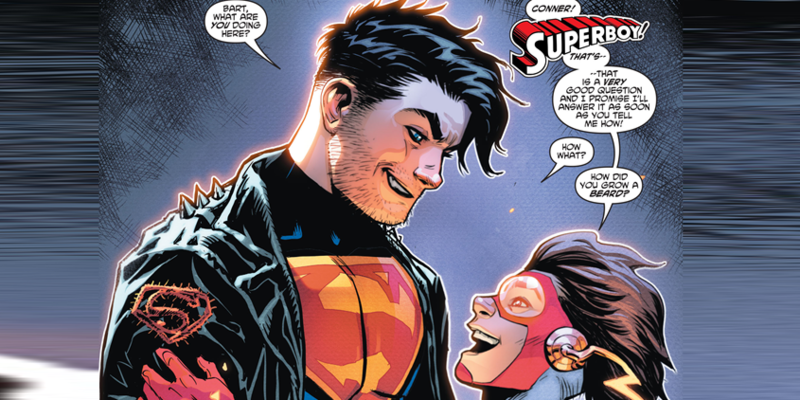 The art looks perfect over the entire issue and brings out the youthful and hopeful vibe. Now the biggest problem with this book is the continuity errors; Bendis is notorious for this, but he has tweeted that he is aware, and he has said the issue raises a lot more questions than we know. 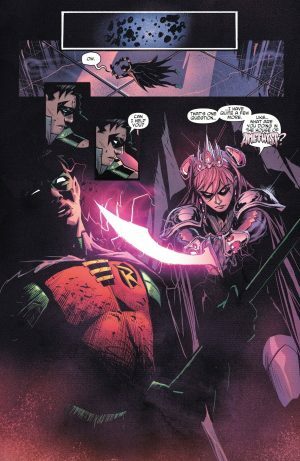 Why is Tim Drake Robin again? Where is Stephanie brown/Spoiler considering she was last seen with Tim? Why did Jinny Hex move to Metropolis? How does Tim remember Bart and Conner? How did Conner get to Gem World? What has he been doing in Gem World? How much of their history does Conner or Bart remember? When was Tim and Bart’s first meeting? Why is Cassie reluctant to be a hero and what has she been doing? What secret is Cassie hiding? How does this tie into the overall dc universe? How did a teen girl hack a gl ring and is able to use it? Will we get a heartfelt flashback reunion especially for Tim considering he was the one who had to exist without his friends? Why is Gem World attacking earth? What is their endgame? What role will Amethyst get to play in this conflict? What role will Bart Allen play in a world without wally West? Will they reference that? What do the justice league think of the forgotten young justice reforming? That’s all I could think of. THERE ARE SUPPOSED TO BE 37. Geez that’s a lot and I look forward to see them all play out on the pages over the course of the series. Anyways it is a good time to get on or be a young justice after a long time and this time they don’t seem to be going anywhere.